Our next meeting is on March 5 at 6:30 PM. We will be meeting at Kim and Jeff’s shop at 14588 Bethel Ave Ext, Midland, NC. Come early to help set up and chat with fellow turners. 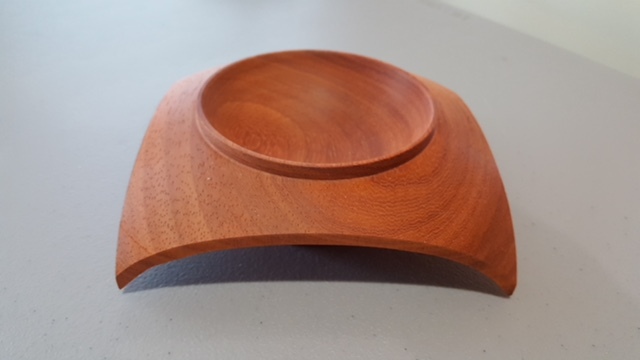 This month’s demo will be on a system that is but one way to securely hold bowls and other items for finishing the bottom. Joe Giannina will be discussing and showing how to build and use a vacuum chuck. This looks to be a great demo. Vacuum chucks don’t need to be overly complicated nor do they need to be prohibitively expensive. There are many options when it comes to vacuum chucks and Joe will show us how to build and use a reasonably affordable system. We need to start planning for the Waxhaw Kaleidoscope Festival which is going to be held on Saturday, May 18 in downtown Waxhaw. We will set up two or three mini lathes and turn spinning tops and other small items to give away to the youngsters attending the festival with their parental units. Clear your calendars for May 18. More info will be available at the meeting. BTW, Dues were due on January 1. If you have not yet paid, please do so at the upcoming meeting. Dues for single members are $30/year and for families, $45/year. Don’t see your name tag? That means you've likely not paid your dues. We are still collecting Beads of Courage bowls. Please bring completed bowls to the meeting. We are rapidly approaching the deadline for submitting names to AAW for the discounted symposium fees. So far I have only received names for two people and we need at least ten to take advantage of the discount. We are also looking for volunteers to help out with lathe raffle ticket sales at the symposium and to help in the tool room. If you are interested please see Rick Erexson (raffle) or me (tool room). As usual, we will be holding a raffle for woodturning related items. Tickets are $1.00 each or 6 for $5.00. If you have anything (wood, tools, jigs, etc.) laying around the shop/garage that is turning related and you can’t remember a) when you last used it or b) why you bought in the first place, donate it to the raffle. For each donated item, up to a maximum of three, you will receive one free raffle ticket. Bring your latest turnings to show off during the Show-n-Tell portion of the evening’s program. Let us know what you made, and how easy/difficult it was and any lessons learned you may have gleaned from your turning experience. Well, hi there, woodturners. It’s almost that time again. We’ll be meeting on Tuesday, February 5 at 6:30 PM. We’ll be in Kim and Jeff Bass’ shop once again. The address is 14588 Bethel Ave Ext, Midland, NC. This month’s program features Rick Erexson who will show us how to turn green bowls. Rick will explain the advantages of turning green and also discuss some the reasons to turn seasoned wood as a contrast. This should be a great demo as bowl turning is probably the number one thing done on the lathe and we all could use some pointers on how to turn bowls. This is especially true for us as we need to turn a lot more Beads of Courage bowls. More on that later. On Saturday, February 9 at 1: 00 PM, Rick will lead us in a workshop on bowl turning as a follow on to his demo. We’ll have a sign up sheet at the meeting. Rick will supply the blanks for the workshop from a tree that “fell” in his yard (don’t tell his wife 😉). Bring your bowl gouges and other turning tools, a face shield and your enthusiasm. During the meeting on the 5th, we will hold a raffle for turning related items (tools, accessories, wood, etc.). Tickets are $1.00 each or 6 for $5.00. If you wish to donate any similar items to the raffle, we will give you a free raffle ticket for each item (up to three) that you donate. Following the raffle we will hold the show-n-tell session. Bring your latest turnings to show and share your experiences. You did turn a Nisse Doll after the last meeting, right? Don’t forget to bring in any Beads of Courage bowls you’ve made so we can help out the kids at Hemby Children’s Hospital. If you are going to go to the AAW Symposium in Raleigh this July and you want to take advantage of a discounted registration fee, please come prepared to write a check for the fee. If we get 10 AAW members to sign up together, AAW will discount your fee by 10%. That’s a savings of $32.50 which you can put toward buying stuff from the 100+ vendors who will be tempting us with their wares. Remember guests are always welcome. If you have family or friends who may be interested in learning a little bit about woodturning, please bring them with you. Happy New Year -Chip and Sawdust Makers ! Hey there, Woodturners. I hope you all have a Merry Christmas and a pleasant holiday season. Well, 2018 is almost behind us and we have had a great year. Our membership has grown and we now have a functional, comfortable and spectacular new meeting place thanks to Kim and Jeff Bass. Our first meeting of the year will be on January 8 at 6:30 PM at the Bass’ shop (14588 Bethel Ave Ext, Midland, NC). We are meeting on the second Tuesday this month only as the first Tuesday is New Years Day and we don’t wish to interrupt any bowl game watching parties 😉. Our demonstrator this month will be Bob Meunier who will show us how he makes his Nisse Dolls (please see the attached photo). These would make great gifts for any time of the year. And now a word from our sponsor: Dues! As this is the start of the new year, dues will become due for everyone in January. Dues are $30 per person or $45 for a family membership. Please make checks payable to Waxhaw Woodturners. You may pay by cash (you do remember how to do that, right?) or via PayPal on our website (www.waxhawwoodturners.com). Payments via PayPal will incur a $2.00 charge to cover the PayPal fees. As usual, we will hold a raffle of woodturning-related items. Tickets are $1.00 each or 6 for $5.00. If you have wood (blanks or raw wood) or turning tools, accessories or jigs you no longer use, bring them along and donate them to the raffle. For each item you donate (up to three), you will receive on free ticket. Bring your latest turnings and share your secrets with the members during the Show-n-Tell portion of the evening. We welcome guests at our meetings. If you know anyone who may be interested in learning what goes on behind the dust, shavings - and occasional choice and colorful language - please bring them along. I hope to see y’all on Tuesday, January 8 at 6:30 PM. Hello Woodturners. In lieu of a demonstration at the December 4 meeting, we will be having a Christmas party. Spouses are welcome. This will be a covered dish affair, so please bring one of your favorite covered dishes to share with everyone. We will provide drinks (soft drinks, water, sweet and unsweetened tea) and deserts. There will be a $5.00/person charge to cover the cost of the drinks, deserts and dinnerware. We will also be having a ‘Dirty Santa’ gift exchange. This is an extremely fun event which has been very successful at other area clubs. Voluntary participation. Bring a turned gift if you wish to participate. This is not required to attend the party. Participants bring a wrapped turned item to give away. All gifts are put on a table. Each person bringing a gift all be given a raffle ticket (lot). The next participant (again by lot) can either choose to take a gift from the table or take the item (steal) just picked by the first person. If the first person has to give up his/her gift, then they get to choose next. If a gift is taken (stolen) from someone, that particular item may only be retaken twice more. The third person with the gift keeps it. Subsequent selections/steals are made until all the gifts are gone. There will also be a show-n-tell and raffle as we normally do. Please respond whether or not you plan to attend. We need to know how many people will be coming so we can prepare seating and make sure we have enough food and drinks to go around. Please respond no later than November 23 to give us the time we need to plan. Will you participate in the Dirty Santa? Hello fellow turners. In just a short two weeks we will have our next woodturning meeting. We will meet on Tuesday, November 6 at 6:30 PM at the Bass’ shop (14588 Bethel Ave Ext, Midland, NC). Come early and enjoy chatting with fellow turners. Guests are always welcome so if you know anyone interested in learning about wood turning, please feel free to bring them along. Our program this month is turning Christmas ornaments. Bruce Lacy will be demonstrating how to make a Sea Urchin Ornament (AKA Satellite ornament). Also, our President, Kim Bass, will demonstrate how to turn a Snowman (or woman) ornament. See the attached photos for samples of what will be demonstrated. This will be a great program to help y’all prepare for the holidays. If you have made any Beads of Courage bowls, please bring them so we can get them to the children at Hemby Children’s Hospital. The Beads of Courage program is a great way for you to expand your turning skills by turning a lidded bowl. Bowls need to be approximately 6” wide and 3” deep — or larger. See Bob Meunier if you have questions or need a ceramic bead for your bowl’s lid. As usual, we will hold a raffle for turning-related items. Tickets are $1.00 each or 6 for $5.00. If you have any items or extra wood sitting around in your shop that you will no longer use, bring them and donate them to the raffle. For each donated item (up to three) we will give you one free raffle ticket. What have you turned this month? Whatever it is, bring it to show off at the Show-n-Tell portion of the evening. We would like to see what you made, how you finished it and any unique or unusual experiences you had while turning it. Next month we will be holding elections for Waxhaw Woodturners officers. There are six positions open: President, Vice President, Secretary, Treasurer and two at-large Directors. We will be asking for volunteers to fit these positions. A slate of prospective officers for 2019 will be presented at the December meeting. Officers elected will server one year. This is YOUR club. If you would like to have a say in what goes on, please raise your hand and volunteer to become an officer. The time involved with being an officer is minimal and the only requirement is that you have a vision for where you would like to see WWT in the future. We are also looking for volunteers to help with three important roles: Program Director, Videography and Web master. The Program Director arranges for monthly demonstrators. The role of Videographer entails ensuring the cameras are working, editing the recorded video of the demonstrations and uploading it to our website and possibly YouTube and/or our FaceBook page*. The WebMaster will maintain and update the website and upload new content as necessary. If you have any interest in any of these positions, please let me know at the meeting. I look forward to seeing y’all at the meeting on the 6th. * You do know we have a Facebook page, don’t you? You can see what is going on, post photos of your creations and ask questions of other members. Come join us at waxhaw woodturners. It’s almost that time again Woodturners. Our next meeting is on Tuesday, October 2 at 6:30 PM. We’ll be meeting at Jeff and Kim Bass’ shop. The address is 14588 Bethel Ave Ext,  Midland,  NC. The driveway is finished so parking should not be a problem. Please, when parking, do not block anyone in. Guests are always welcome. Our program this month features Joe Giannina who will be demonstrating how to turn long stemmed turnings - goblets, bird houses, etc. If you have made any Beads of Courage lidded bowls (you have haven’t you? ), please bring them to the meeting. 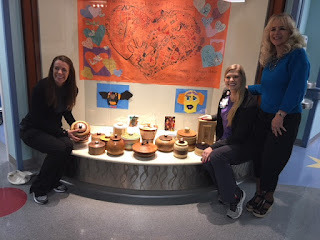 The kids at Hemby Children’s Hospital really appreciate our BoC bowls. We would also appreciate you bringing at least five spinning tops for Gary Janes’ mission to Malawi in October. The children the the villages and towns Gary will be visiting are looking forward to getting our handmade toys. As usual, we will be holding a raffle for woodturning-related items. Tickets are $1.00 each of 6 for $5.00. If you have items you would like to donate to the raffle, bring them with you and we will give you one free ticket for each item (up to three) that you donate. Don’t forget to bring your latest turnings with you to show off during the show-n-tell portion of the meeting. Oh, and as long as we’re talking about lathe stands, don’t forget, if you are not busy tomorrow morning we could certainly use your help assembling the lathe stands that Dave McKeithan and Joe G. cut out last week. We’re meeting at Dave’s shop (7105 Steele Rd., Waxhaw) about 9:00. It’s almost time for another meeting and this time we’re meeting at Kim and Jeff Bass' shop. Their address is 14588 Bethel Ave Ext, Midland, NC. The meeting will start at 6:30 PM but please come early to chat with fellow turners. The program for this month is turning platters. Sir Bob Moffat is the demonstrator and he will show us how to turn and decorate Fruit Platters. Sir Bob is an excellent demonstrator so you won’t want to miss this meeting. Turning Project: With proper planning and wood selection, you’re set to turn the perfect platter to present a beautiful, healthy afternoon snack – Fruit! Sir Bob is also a Instructor at the John C. Cambell School Workshop. As usual, we will have a raffle of Woodturning-related items. If you have anything you wish to donate to our Famous Raffle, please bring it with you and you will be rewarded with one free raffle ticket for each item (up to three) that you donate. Tickets are $1.00 each or 6 for $5.00. We will also have a Show-N-Tell session so bring your latest turnings and let us know how you made and finished them. If you made any Beads of Courage bowl bring them as well. I hope to see y’all at the meeting. _respectfully submitted to our Famous Scribe JP Walsh! P.S. I wonder if our fearless Leader will bake cookies or cake? P.S.S -By The way, you have to see the Bass Shoppe. It will inspire you. Guaranteed! The snacks are free if you are not inspired, I promise. P.S.S.S It's not too far for a fabulous evening of wonderful woodturning creativity. Hi there Woodturners. Our next meeting is scheduled for Tuesday, August 7 at 6:30 PM. We’ll meet at Hunter House as usual. Come early and chat with fellow turners. As we normally do, we will hold a raffle for woodturning-related items. Tickets are $1.00 each or 6 for $5.00. If you have any woodturning related items you would like to donate to the raffle (wood, tools, etc.) we will gift you one ticket for each item (up to three). We will also have a brief show-n-tell session so bring your latest turnings and let us know how you made and finished it/them and share any interesting tidbits about your turning(s). If you made any Beads-of-Courage bowls (you did make a bowl or two, right? ), please bring them with you. We are also in the process of upgrading our mini-lathes. We have purchased one new lathe (to be debuted at the August meeting) and plan to purchase a few more. If you know anyone interested on purchasing one of our Rikon minis, let them know we have six for sale (four Rikon 70-100s and two Rikon 70-050VS). The 70-100s are 6-speed lathes (manual speed changes) while the 70-050vs have variable speed controls. All are in working order but may need some minor maintenance. They are available for viewing/testing either at the meeting or by contacting one of the board members. Our meetings are always free and open to the public. If you know anyone who may be interested in learning about turning, bring them with you. Also, spread the word about our club. If you know any turners who are not members, bring them along as well. We always like to meet new fellow turners so we can share ideas and learn new techniques. See y’all on the 7th. 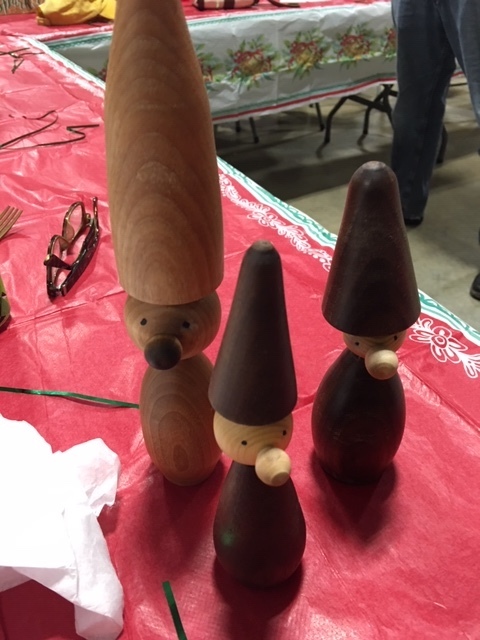 The next Waxhaw Woodturners Meeting will be Tuesday, July 3 at 6:30 PM. We will meet at Hunter House (13428 Providence Rd., Weddington, NC). The program this month will be how to insert a Celtic Knot into a turning. Joe Giannina will be our demonstrator. 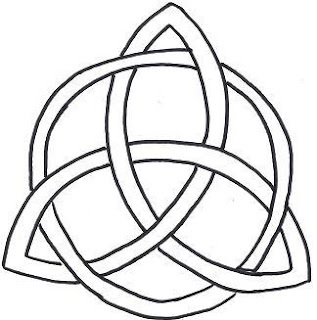 Joe will do a multimedia presentation using both physical examples and video to show how he makes a Celtic Knot. Many different designs exist however Joe will demonstrate his version. As usual we will have a show and tell session so we can share our latest turnings and the fun we had making them. We will also hold a raffle for woodturning-related items. Tickets are $1.00 each or 6 for $5.00. If you have items you would like to donate to the raffle, we will give you one free raffle ticket for each item (up to three) that you donate. Last month, Moe Gingerich showed us how to make a goblet. If you turned one, bring it in so we can share in your success. Did you make a Beads of Courage bowl? Please bring your completed bowls so we can get them ready to take to Hemby Children’s Hospital for the kids they minister to. Looking forward to seeing everyone on July 3rd. It’s almost time for our next meeting. We will meet at Hunter House (13428 Providence Rd., Weddington) on Tuesday, June 5 at 6:30 PM. Come early and enjoy the camaraderie of other turners and share your stories of woodturning successes. Our program this month features Moe Gingerich who will show us how to make a stemmed goblet with captive rings. Moe is an excellent turner and exceptional teacher and his demonstration should be one you won’t want to miss. We will, of course, hold our usual raffle of turning-related items. Tickets are $!.00 each or six for $5.00. If you have items to donate to the raffle, please bring them to the meeting. For each item (up to three) you donate, we will gift you with one free raffle ticket. For the show-n-Tell portion of the meeting, please bring in your latest turnings to show off and tell us about the process you used to turn and finish your object d’art. This is also a great time to bring in those difficult items that gave you some headaches; the gathered assembly should have some answers to your turning woes. Don’t forget to bring in any Beads of Courage bowls you may have completed this past month. The staff at Hemby Children’s Hospital was very appreciative of our last donation of almost 20 bowls and we want to make sure we have a steady flow of BoC bowls for the kids going through surgeries and procedures. Last month Gary Janes showed us how to make a Bird’s Mouth bowl. Did you accept the challenge to make one? If you did, bring it in to share your experience with the other turners. Hey there fellow Woodturners, our next meeting is scheduled for Tuesday, May 1 at 6:30 PM at Hunter House (13428 Providence Rd, Weddington). Come early to chat with fellow turners and have a soft drink. 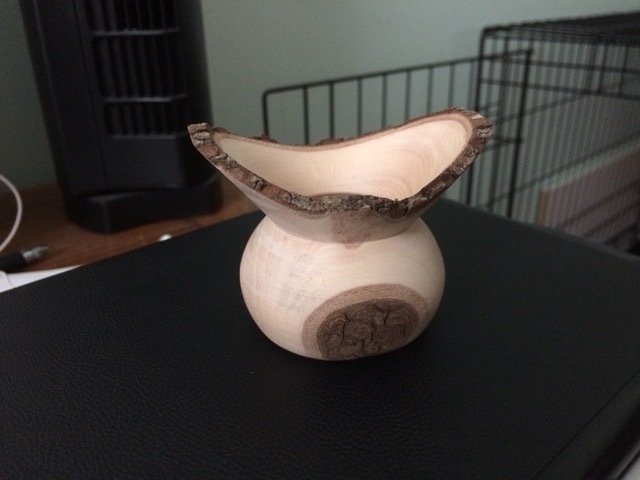 Our program for the meeting will be presented by Gary Janes who will show us how to turn a bird’s mouth bowl. This is a fun bowl to turn. Gary will also talk about safety around the lathe as we can never have too many reminders about what we need to do (or not do) around rapidly spinning wood and the application of sharp tools to the spinning wood. Finally, since we are getting ready to participate in the Waxhaw Kaleidoscope Fest (May 19 & 20), Gary will also demonstrate the turning of spinning tops which we give away to the kids stopping by our booth. Did I mention Beads of Courage (BoC) bowls? No? Well let’s not forget to bring in those BoC bowls so we can continue to supply them to Hemby Children’s Hospital for their young and courageous, seriously ill patients. Raffle time. We have raffle tickets for sale. $1.00 each of 6 for $5.00. We’ll have some turning materials (wood, that is) as well as some turning-related tools and trinkets. Bring in an item to donate to the raffle and you’ll receive a free raffle ticket (up to three items). Don’t forget to bring in the turnings you’ve made over the past month to share with everyone during the Show-n-Tell portion of the meeting. We still need volunteers to help with the Waxhaw spring festival, AKA Kaleidoscope Fest. We need folks to help pack up the trailer at Hunter House, unload and set up at the festival on Saturday, turn tops and talk with festival goers on Saturday and Sunday, breakdown and pack up on Sunday afternoon and then load the trailer back at Hunter House. Please contact Rick Erexson to volunteer. We have a few folks already but need a few more. Guests are always welcome at our meetings. If you know anyone interested in learning about wood turning, bring them along and introduce them to the other members. No experience necessary. 6:30 PM for start.....come early in case the moat is full of alligators.